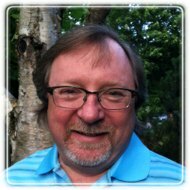 Portland Therapist: Barry McVay - Therapist 97239. Send A Message To Barry. toward desired and meaningful paths of change. and relationship are vital to therapy and the process of change. safe and present place for listening, empathy, and understanding”. with humanity and our multi-generational family experience. work, but rather teach them to long for the endless immensity of the sea." counsel to assist us in navigating these challenges. navigating yourself through the tangled path you face. CEO, entrepreneur, helper and community advocate.